Shop online for 3 pi model trains. 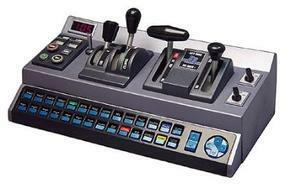 This is the RailDriver Desktop Cab Controller Model Railroad Electrical Accessory by P.I. Engineering. This is the GP38 Operator's Manual Model Railroading Book by P.I. Engineering.